What an amazing starter home! Formal entry from a covered front porch on a charming, well maintained street. 2 Bedrooms 1 Bath with many recent updates: HVAC 2014, New Main Electric Panel in 2014, Interior Paint in 2014. Updated Bath 2014, Updated Kitchen with granite counter - 2018, New Double Paned Windows 2014 & New Roof 2017. The spacious living room with hardwood floor and fireplace opens to the kitchen, dining room and hallway to bedrooms. Bedrooms, hallway and dining room all have hardwood floors. The dining room opens to the backyard patio and a wood deck. 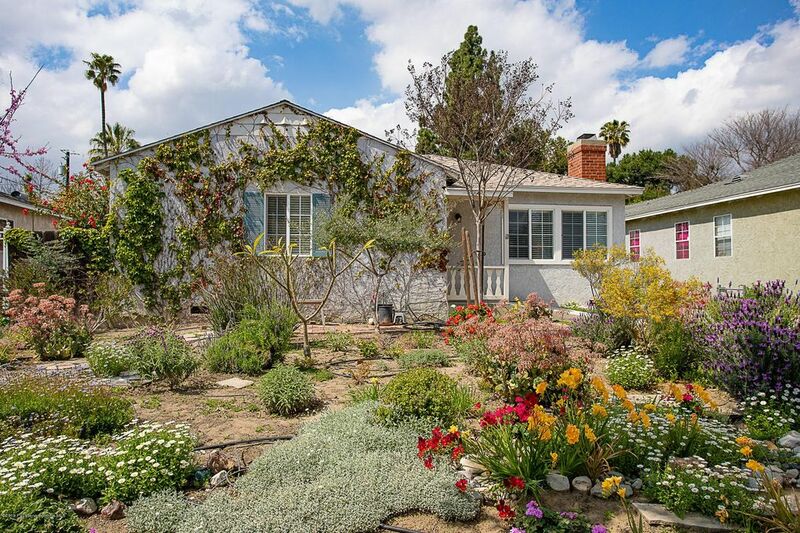 Beautifully landscaped front & back, this home has amazing curb appeal. New concrete driveway to fenced & gated backyard with a double attached garage. Wood deck in backyard opens to dining room and kitchen/laundry. The deck overlooks a huge beautiful backyard with several sitting areas/patios plus a white picket fenced flower garden. Room for a pool with lots of space for play & entertaining areas and a lawn. All of these park-like features in your own, private, fenced backyard!! This home is in superb condition and ready for its new owner to move in!